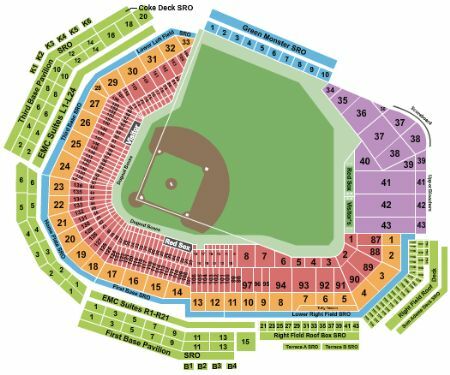 Boston Red Sox vs. New York Yankees Tickets - 7/28/2019 - Fenway Park in Boston at Stub.com! Xfer Mobile Entry. Scan your tickets from your mobile phone for this event. Do not print these tickets Tickets will be ready for delivery by Jul 25, 2019. Alcohol-free seating Mobile Entry Tickets. Must have smart device on hand to enter event. Do not print these tickets. Mobile Entry Tickets. Must have smart device on hand to enter event. Do not print these tickets. No alcohol. Tickets will be ready for delivery by Jul 26, 2019. Alcohol is not permitted in these seats. Tickets will be ready for delivery by Jul 21, 2019. ADA accessible these tickets allow for wheelchair access. Tickets will be ready for delivery by Jul 26, 2019. First row in this section. The view from these seats may be impacted by walkway traffic. Tickets will be ready for delivery by Jul 24, 2019. The view from these seats may be impacted by walkway traffic. Tickets will be ready for delivery by Jul 26, 2019. The view from these seats may be impacted by walkway traffic. Tickets will be ready for delivery by Jul 21, 2019. First row in this section. Tickets will be ready for delivery by Jul 25, 2019.